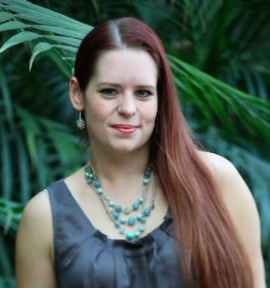 Michelle Shaeffer is a blogger, speaker, writer, marketing consultant and human psychology junkie. She’s the creator of the HookLine Dynamic app, author of Words That Feel: The Lingo Dynamics Manifesto, host of the Empath Entrepreneur Army podcast, and is currently working on her book, The Art of Actually Giving a Damn: Rise of the Empath Entrepreneur. Ideal Guest Avatar: Entrepreneur or business owner (online or offline) who’s focused on growing a business that’s both purposeful and profitable. We look for guests who have an engaging personality, interesting story or advice/information to share, fits well with the “Empath Entrepreneur” theme of giving a damn about their business, their clients, and their world. Advice for podcast guests: Be prepared and organized. When you pitch hosts, know what your unique stories and angles are, and how it connects for their specific audience. What value do you offer? And, know your next step! What are you inviting the audience to do next to continue to learn from you or stay connected with you?